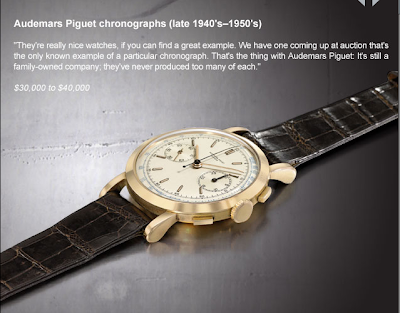 There are a few things that are very obvious about me when you read my blog: first, i am obsessed with shoes; secondly i don't really wear jewelry, but i possess an unusual fondness for big luxury men's watches; and lastly (which may not be that obvious, because i've never really mentioned it): i am absolutely mad for vintage. 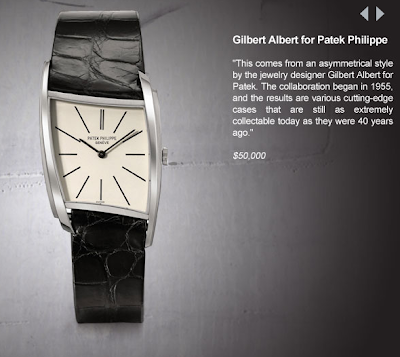 Vintage anything, whether it's clothing, jewels, accessories, furniture, whatever. If it's old and has history, it automatically translates to me as having soul and charm, which is enough to make me fall in love with any piece. 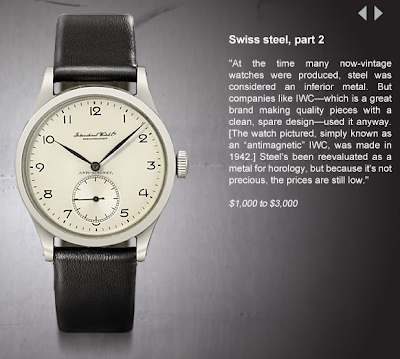 So imagine my joy when men.style.com came out with a guide to purchasing vintage luxury timepieces. 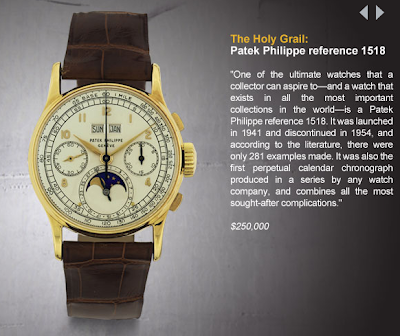 My favorites are the Audemars Piguet and the gold Patek they qualitfy as "the Holy Grail". What can i say, i'm a sucker for a classic round gold center and a brown croc wristband. i agree with you! 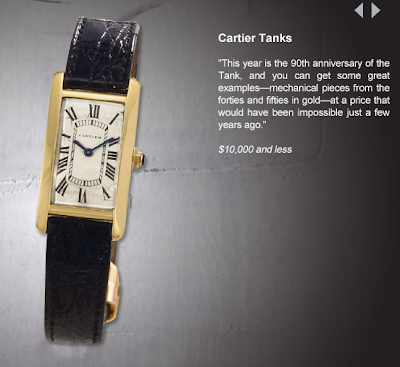 one of my friends has a to-die-for Cartier men's watch in gold with the gold link band. so cool!